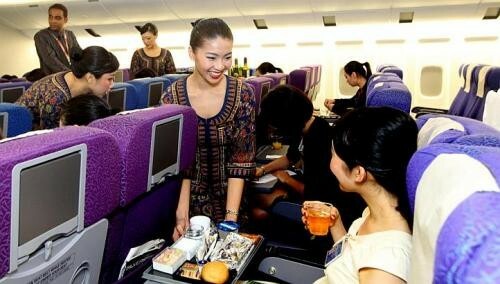 When Singapore Airlines cabin crew finish their introductory training course, they will now get a national qualification, not just an in-house one. This is because SIA's Cabin Crew Readiness Programme has been aligned with the Singapore Workforce Skills Qualifications (WSQ) framework. "With this recognition, we further give testament that our training programme actually meets the rigour of national standards," said cabin crew divisional vice president William Koh. At the end of the 15-week course, cabin crew members would have completed WSQ-equivalent modules on service and building relationships with customers. The first batch of 20 trainees to receive these qualifications graduated on Thursday. "Getting the qualification from a national agency gives us a sense of achievement as our training is recognised," said trainee Cheryl Goh, 23, one of about 800 cabin crew trainees who take the course every year. To align its course with the WSQ framework, SIA did not have to alter it. Instead, it worked with the Singapore Workforce Development Agency (WDA) to make sure that the course met WSQ requirements. For instance, that the same skills had to be taught, and similar methods of assessment used. SIA is the only airline with courses aligned to the WSQ framework, but the WDA said it is in talks with others.